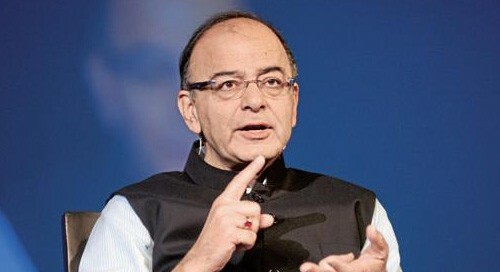 New Delhi, April 5 (IANS) Finance Minister Arun Jaitley on Friday questioned Congress President Rahul Gandhi's "silence" on the Enforcement Directorate chargesheet in the Rs 3,600 crore AgustaWestland VVIP chopper deal case, which mentioned that kickbacks were paid to "important political persons" of the then ruling party and others. "Rahul Gandhi talks on several subjects, even on those he is having limited knowledge of, but maintains silence over those which only he knows," Jaitley told a press conference. "There must be some answers when someone is accused on the basis of documents. When no reply is given to such serious allegations, the country is entitled to presume that no reply could have been given," Jaitley said while seeking answers from the Congress President as to who were referred to as "RG", "AP" and "FAM" in the documents cited by the ED. "The right to silence was available to an accused, but not to a prime ministerial aspirant. This is in public domain," Jaitley said. Accusing the opposition leader of suppressing the truth, the Finance Minister said the issue can not be eluded as the evidence was "overwhelming and the needle of suspicion clear." "The more you suppress the truth, the more it spreads," he said. The ED in its fourth supplementary chargesheet has mentioned that kickbacks worth 70 million euros were paid to "important political persons of the ruling party, media persons, defence officials and bureaucrats" in the Rs 3,600 crore AgustaWestland VVIP chopper deal.